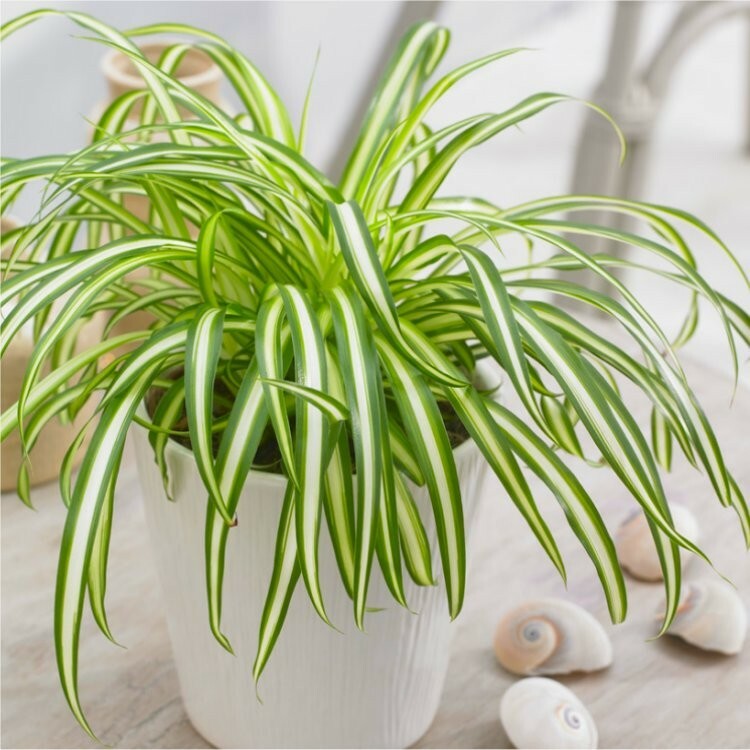 The variegated Spider Plant is an incredibly popular house plant and very easy to grow - just place it in a well lit place, water, and watch it grow! As it matures it will develops stems, each of which has a baby plant at its tip, these shoots appear like gangly legs hanging around the main plant, hence the name Spider plant is given. If you do not like the appearance, simply nip them off. 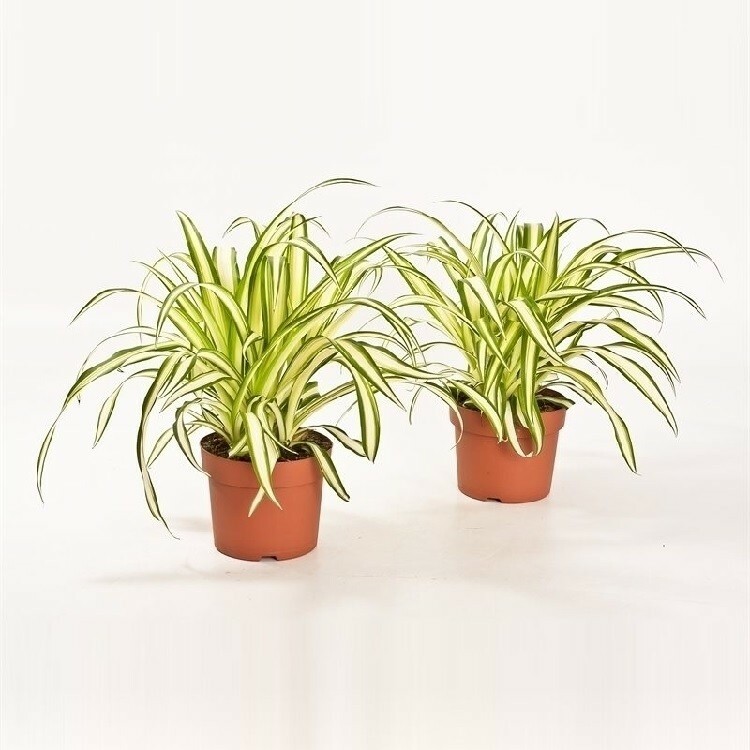 Supplied in an approx 12cm pot, complete with white display pot - simply position and enjoy.